As one of the most commonly used programming languages, C++ is amust-have skill for programmers who wish to remain versatile andmarketable. C++ For Dummies, 7th Edition providesclear, concise, expert instruction, which is organized for easynavigation and designed for hands-on learning. Whether you're newto programming, familiar with other languages, or just getting upto speed on the new libraries, features, and generics, this guideprovides the information you need. 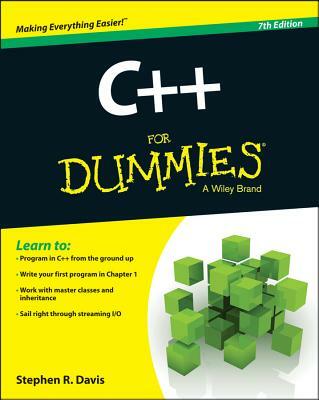 The book incorporates the newest C++ features into thefundamental instruction, allowing beginners to learn the update asthey learn the language. Staying current on the latest developmentsis a crucial part of being a programmer, and C++ For Dummies,7th Edition gets you started off on the rightfoot.